Yes, Tom does find time for Craft meetings in the midst of his busy Mark diary! The picture shows him with RW Bro. Max Bayes the PGM for Northants and Hunts. Three Counties Lodge is the Craft Unit created in that Province to bring together Heads and Deputy Heads of other Orders. Tom is PGM for the Royal Order of Scotland Province which covers Northants. 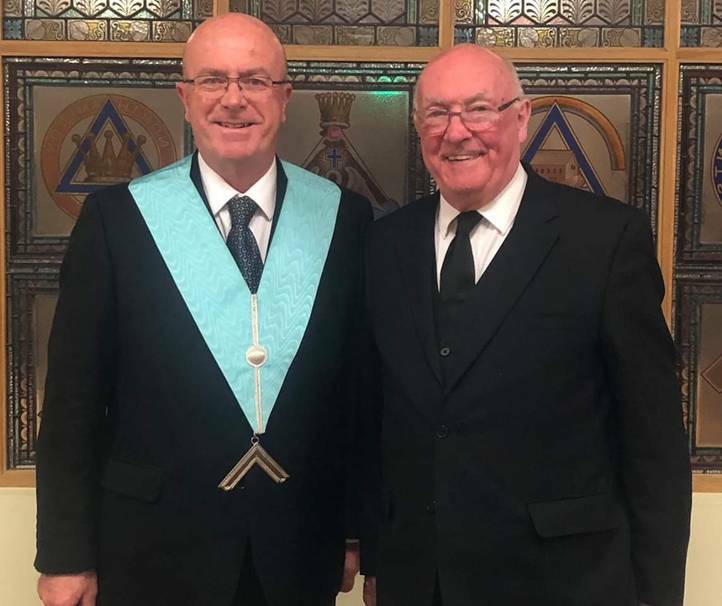 The Installation was conducted on 29 October by the outgoing WM, VW Bro. James Newman OBE, Deputy President of the MCF, at Sheaf Close in Northampton and before an audience of 100+ members and their guests. 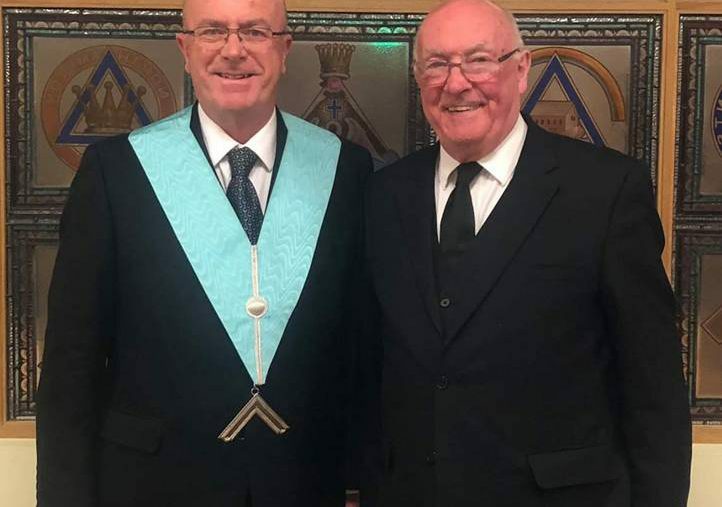 And just to underline the strong ties that exist between the Craft and the Mark Degrees, Max himself is VW Bro Max Bayes PGJO (was GJO in 2017) and announced that Tom’s successor as WM next October will be RW Bro. Bob Stokes, PGM for the Mark Province of Northants & Hunts. NextThe PGM RW. Bro. David Ashbolt attended Gallipoli lodge on 3rd November to consecrate their new Mark Lodge Banner.